"I don't know if I've ever been in love with wine," Jim McGrail said. "I've always liked wine, but I never thought too much about it. This was an opportunity for our family to work together and be together." Jim McGrail, who retired early from the Alameda County Sheriff's Department, bought the 25-acre parcel in Livermore Valley more because he liked the view than to become a farmer. It is a great vantage point, with Cedar Mountain to the southeast and the distinctive sliced-out look of Mt. Diablo to the Northwest. And it's also great terroir, with very gentle slopes and breezes from the Altamont Gap providing cooling at night. Jim McGrail had the soil tested and learned the sandy loam was good for Cabernet Sauvignon, which was convenient because that's all he likes to drink. 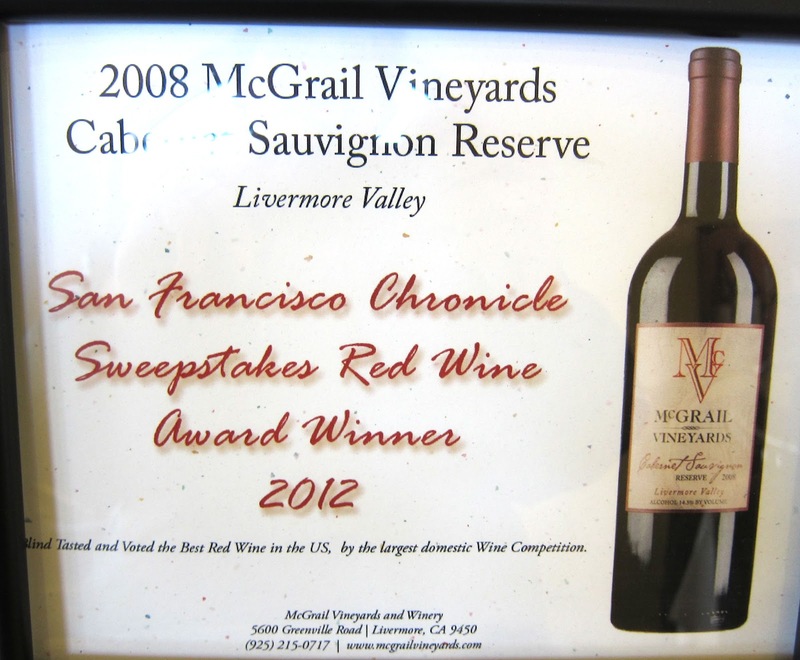 At first he sold his grapes to Steven Kent winery, which released a McGrail Vineyards Cabernet. But Livermore had a glut of grapes in 2005, when the state had its biggest crop ever, and Kent decided not to keep buying from McGrail. So he said, what the heck, let's just make our own wine. Winemaker Mark Clarin knew the Livermore terrain, as he had worked for Wente for more than 15 years, finishing up as winemaker for Tamas Estates, but he was on the Central Coast working as a production manager for Bonny Doon. Just when McGrail needed a winemaker, Bonny Doon laid off Clarin, who returned to Livermore looking for consulting work. "At Bonny Doon we were making half a million cases," Clarin said. "This, working with this vineyard, is a different scale." Clarin likes to experiment with different barrels. 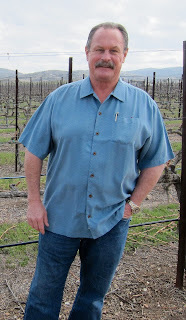 He has alternate versions of the award-winning Cabernet made in American oak ("The Patriot"), Hungarian oak ("A Jo Elet") and French oak ("James Vincent"). The Patriot is too intensely oaky, but the French and Hungarian oak versions are interesting to compare, with the Hungarian seeming more fruit-forward and the French seeming to have a bit more integration and complexity. The award winner, the company's flagship wine, included elements of all three, and was more than the sum of its parts. Clarin said the response to the Best Red Wine award was gratifying, but "we need to make great wine every year." He's making it, Heather is marketing and selling it, and Jim is looking on proudly. Not only did he get his daughter in the family business -- he got her in the law enforcement family as well. When Heather fled for Scottsdale, she moved away from her boyfriend, who met her at St. Mary's College. Her boyfriend hadn't planned to become a cop, but being around the McGrail family made an impact, as Heather's brother had followed his father to the Alameda County Sheriff's Department. "(My boyfriend) loved how much my brother loved his job," Heather McGrail said. 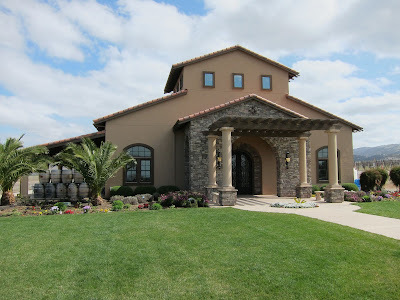 Now he's her husband, he's also in the ACSD, and they live just a few minutes' drive from the winery and Jim McGrail's home, which is just how Jim likes it. 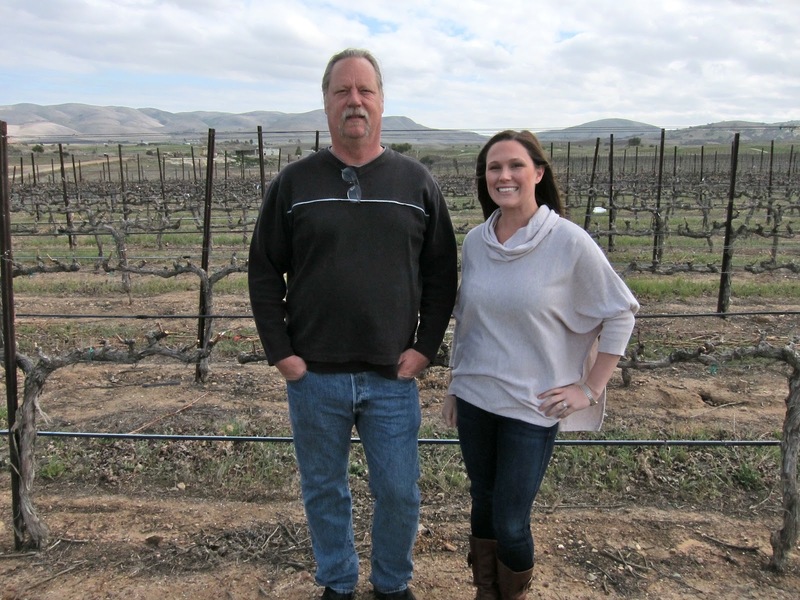 "Heather's the hardest-working kid I've ever met," Jim McGrail said, before heading off to his current job as a private defense attorney, leaving the winery in her hands. Thanks for posting a great column on McGrail. My wife and I moved to Livermore in 2005 after visiting with Dane Stark of Page Mill after he moved his winery from Los Altos Hills. 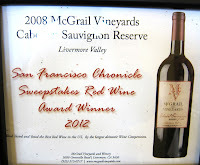 Mark and the McGrail team, along with many others in the Livermore wine community have been producing some fun, interesting, high-quality wines that need to receive more publicity. Thankfully you, and the judges at the Chronicle Competition, (unlike some bloggers or "wine judges" who will remain nameless) recognize their commitment to raising the profile of this closer-than-you-think AVA. Fantastic write-up Blake, and what a great story! His experiments with the three different types of oak sounds similar to what Thomas Coyne did back in the late 90s with his Syrah in Livermore. An exciting area in California that is often overlooked.